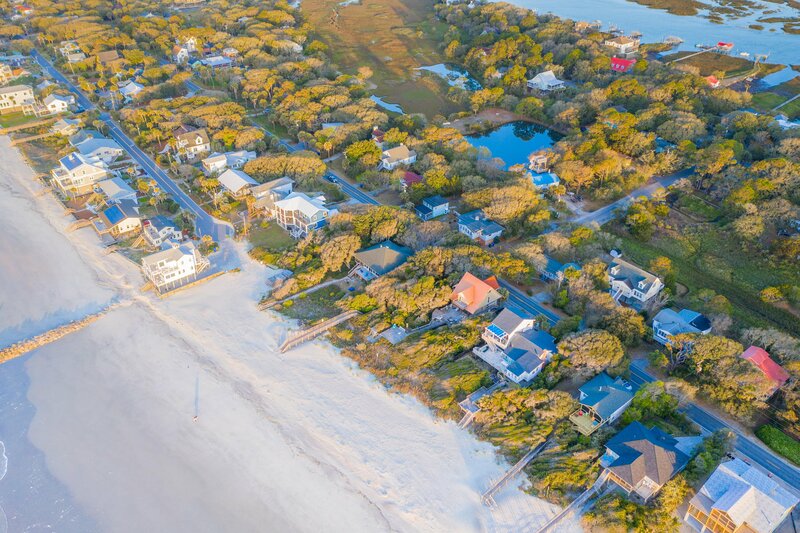 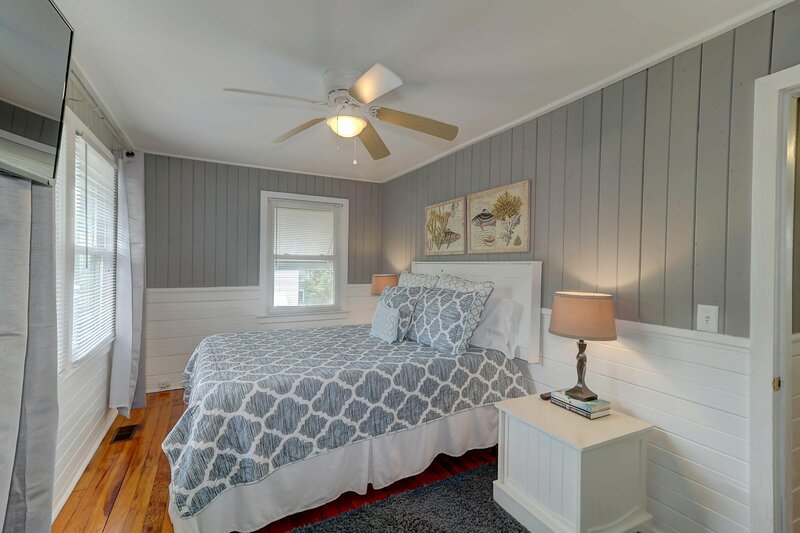 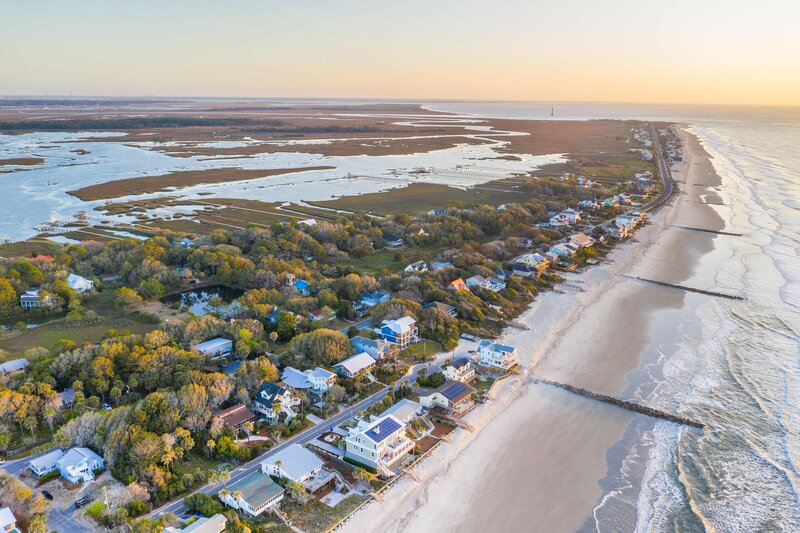 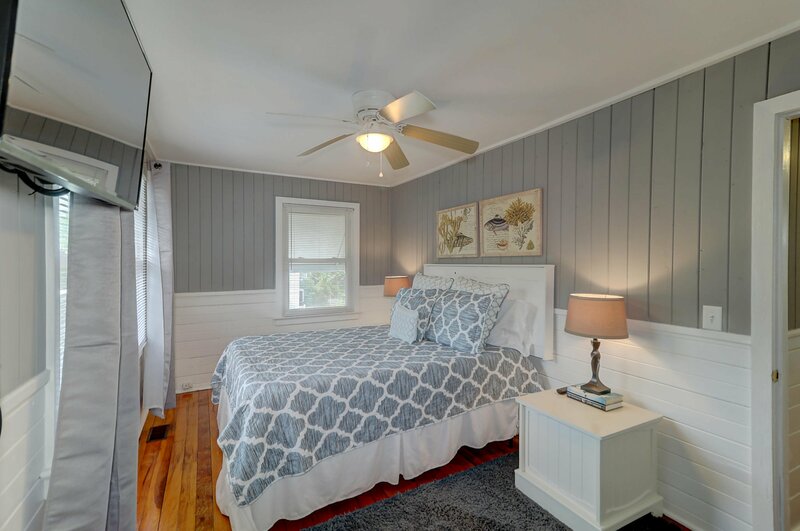 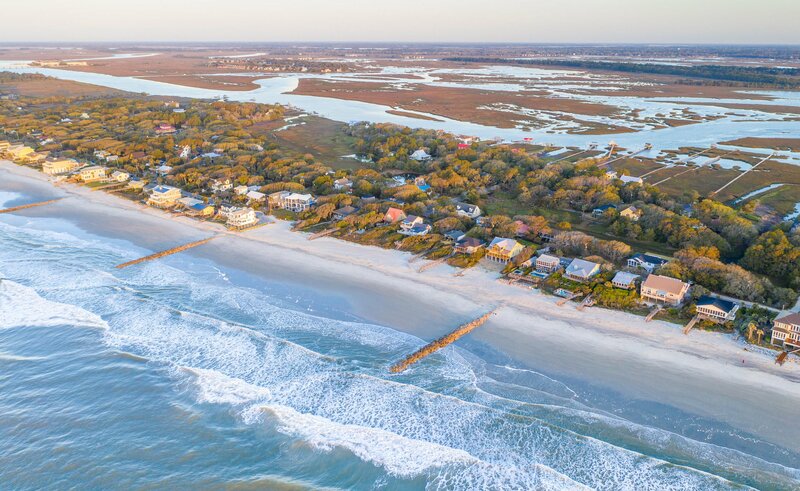 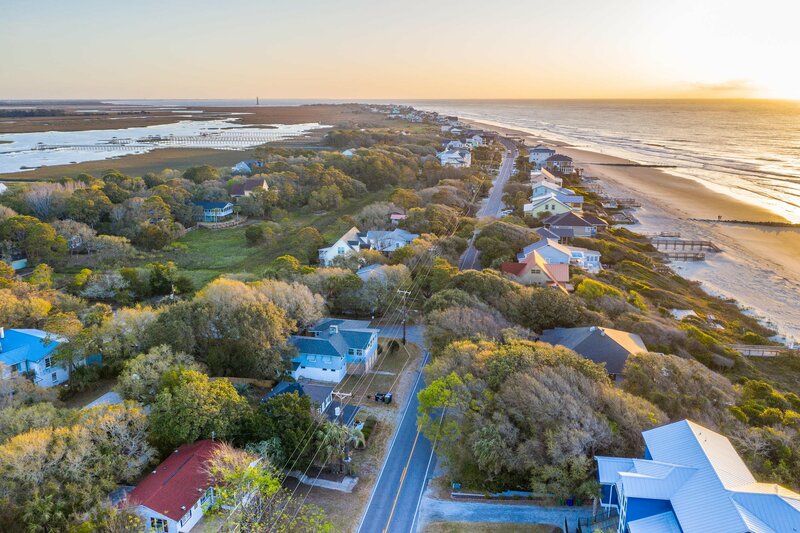 Welcome 'To The Sea', a classic beach cottage that has recently been updated, yet still offers that old Folly coastal charm. 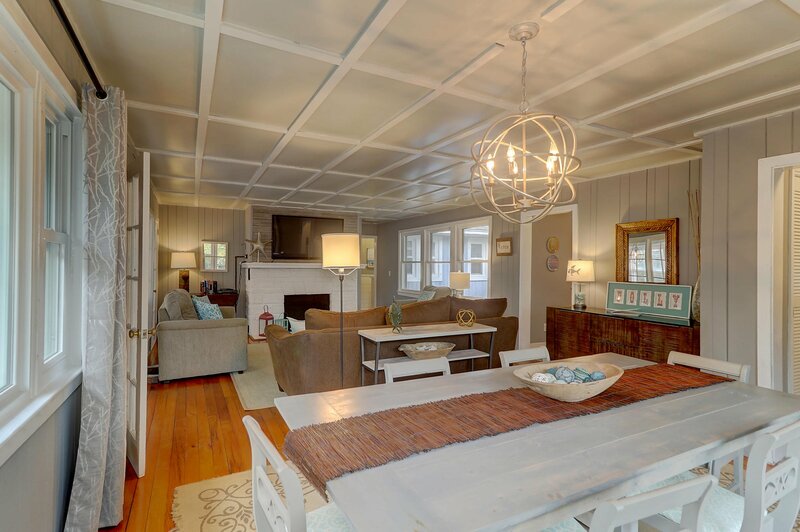 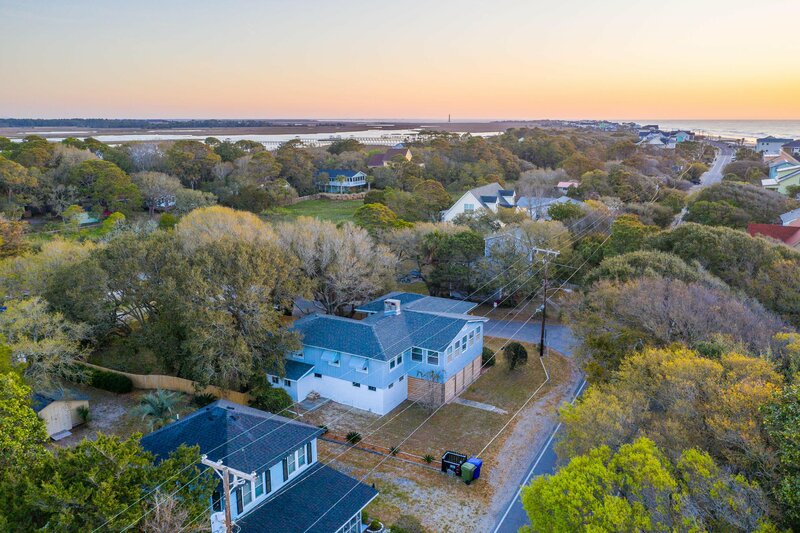 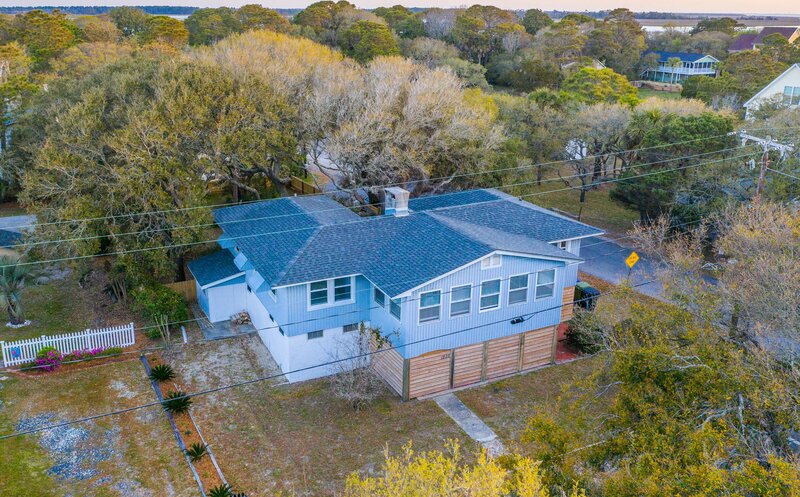 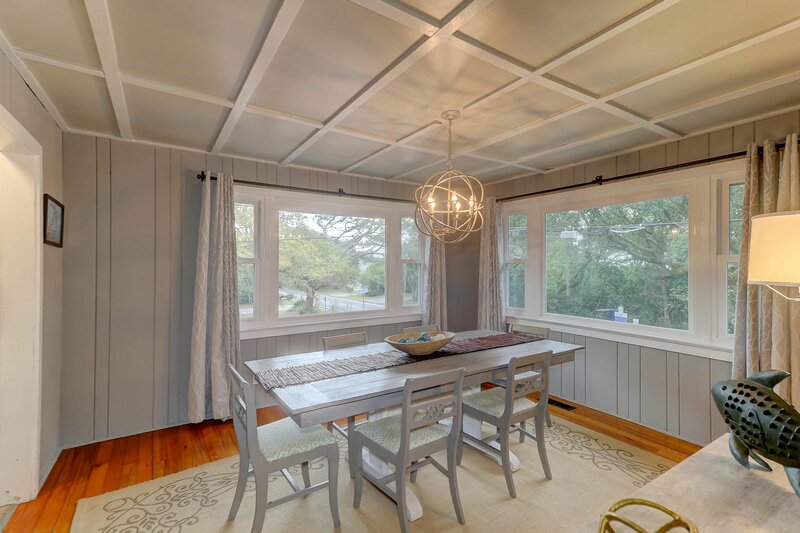 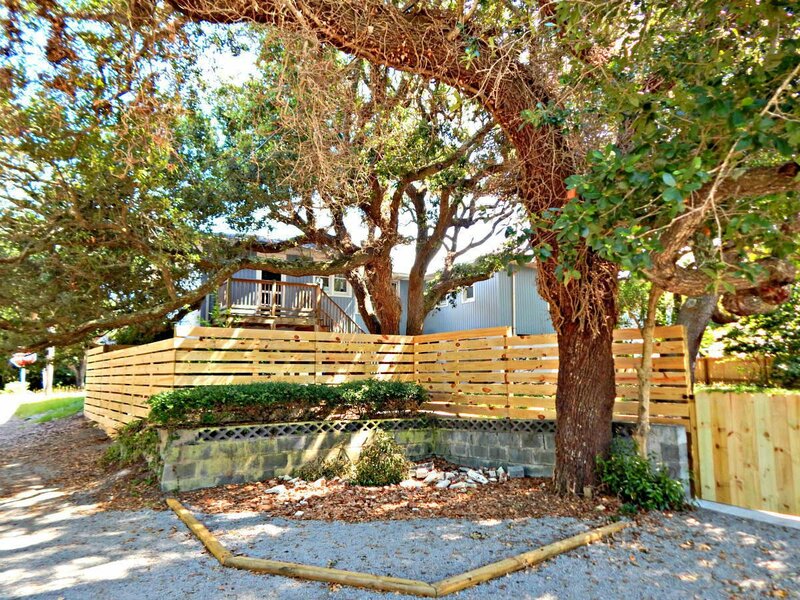 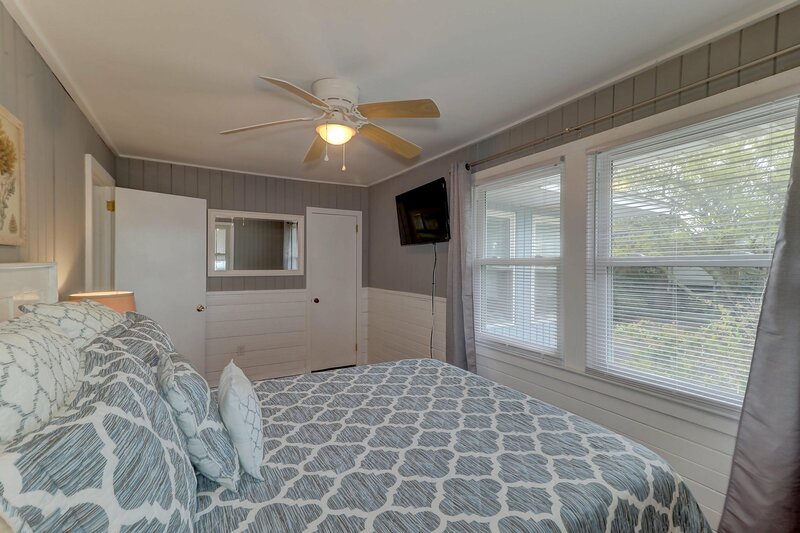 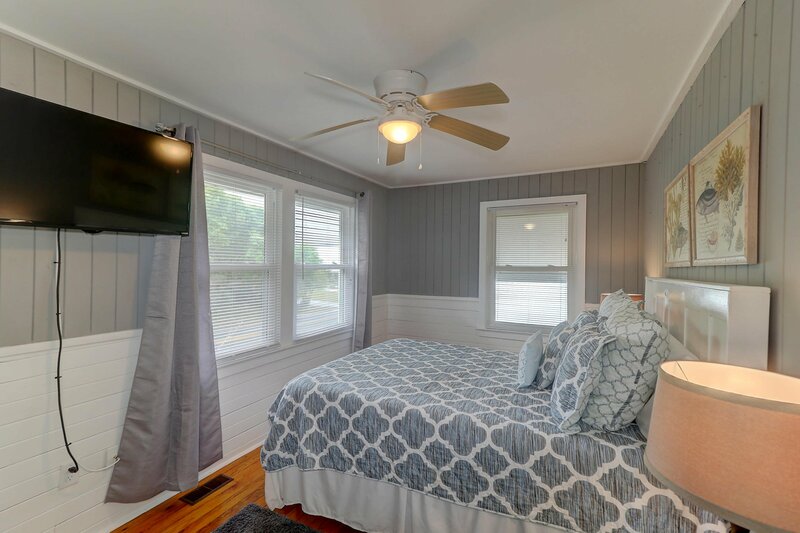 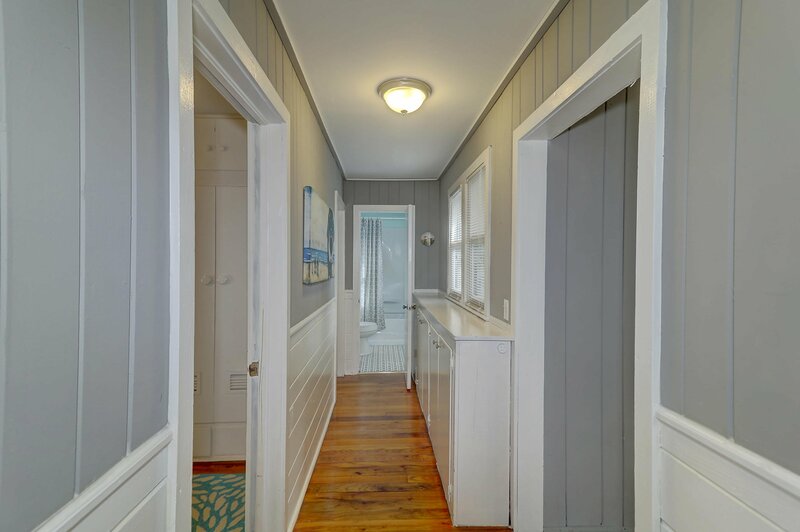 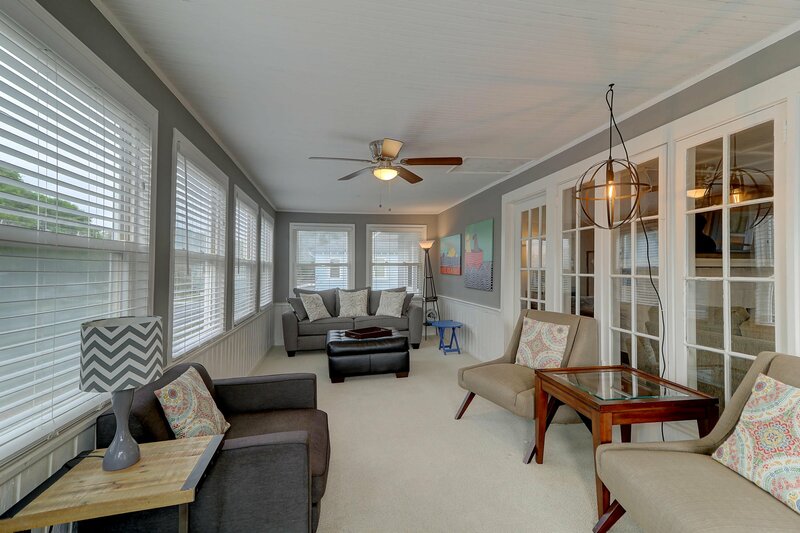 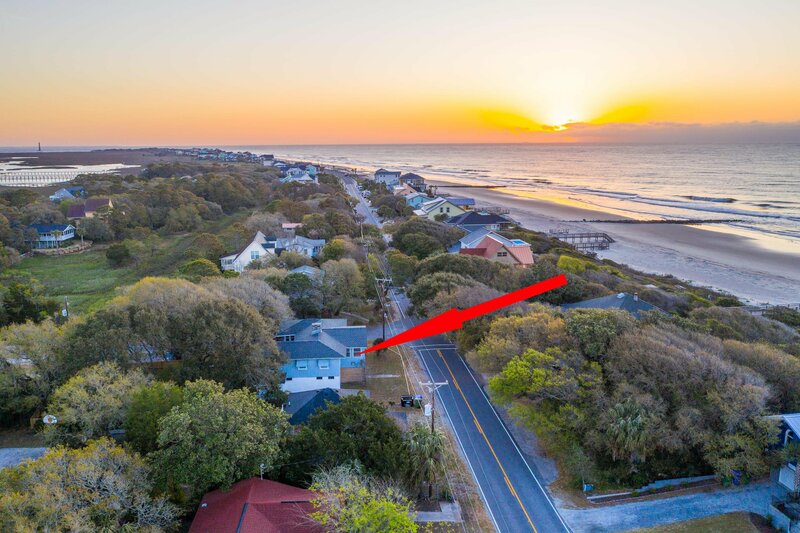 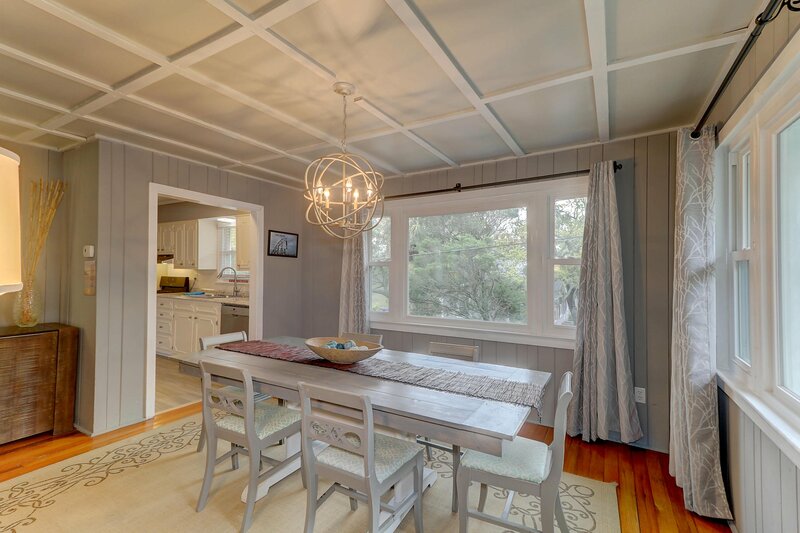 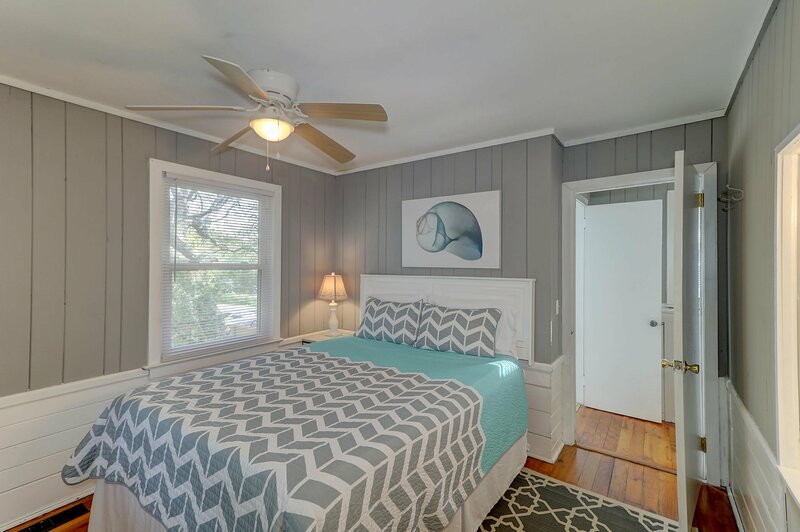 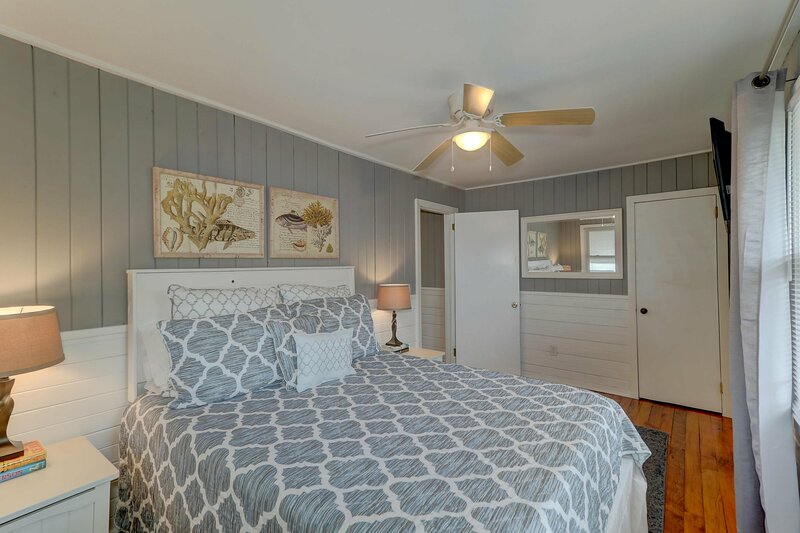 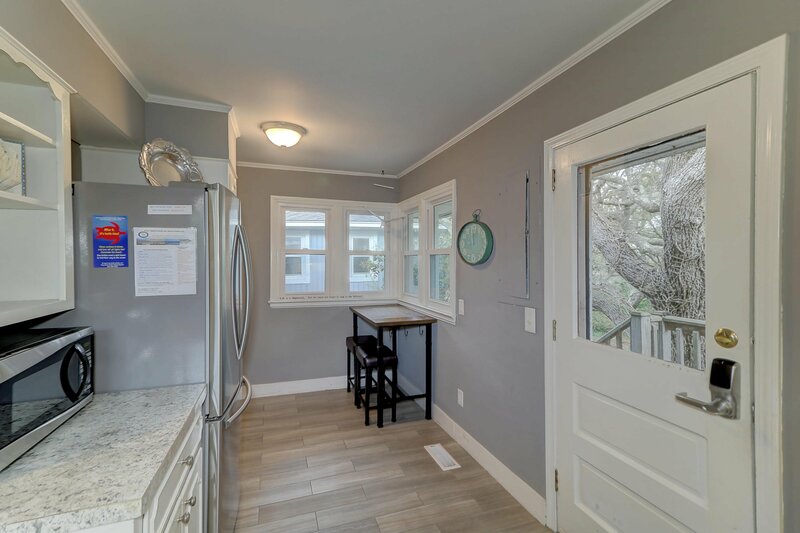 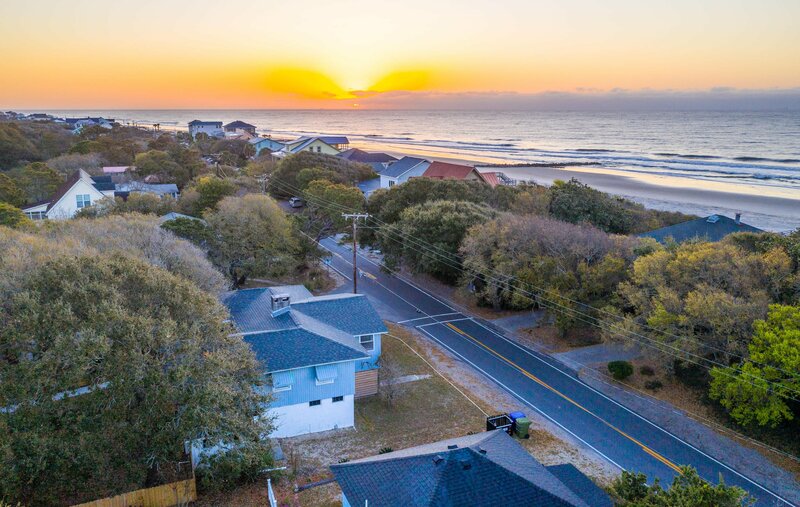 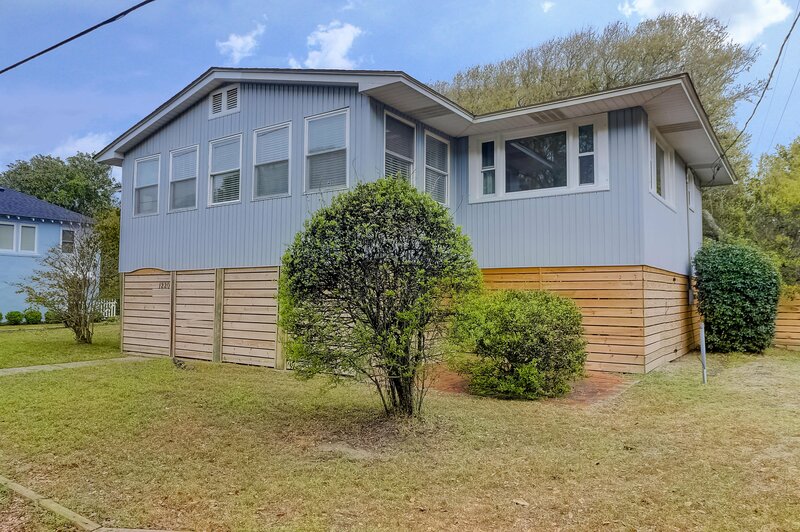 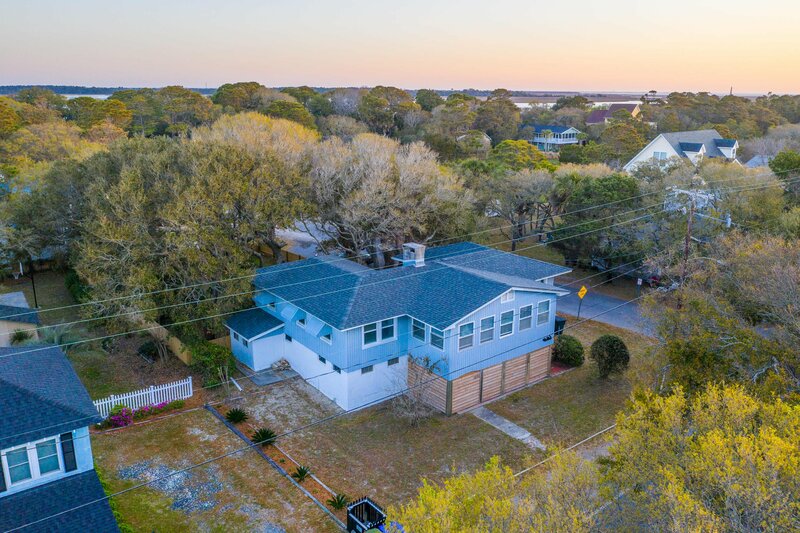 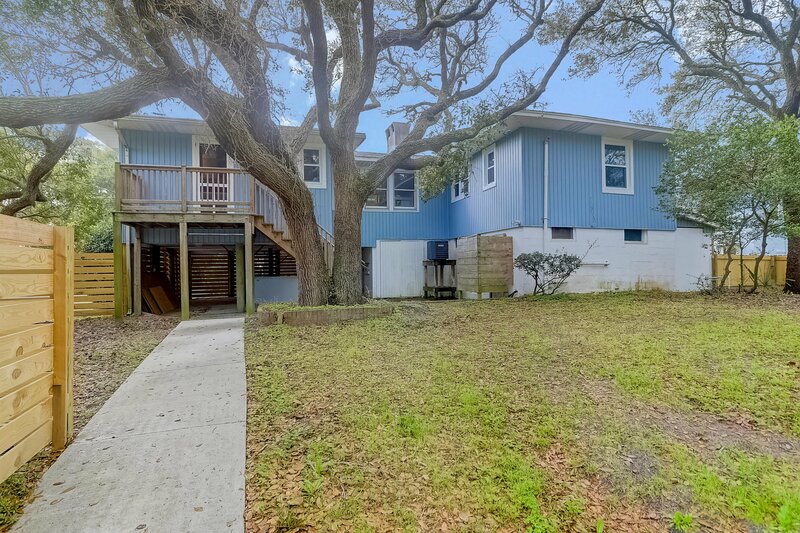 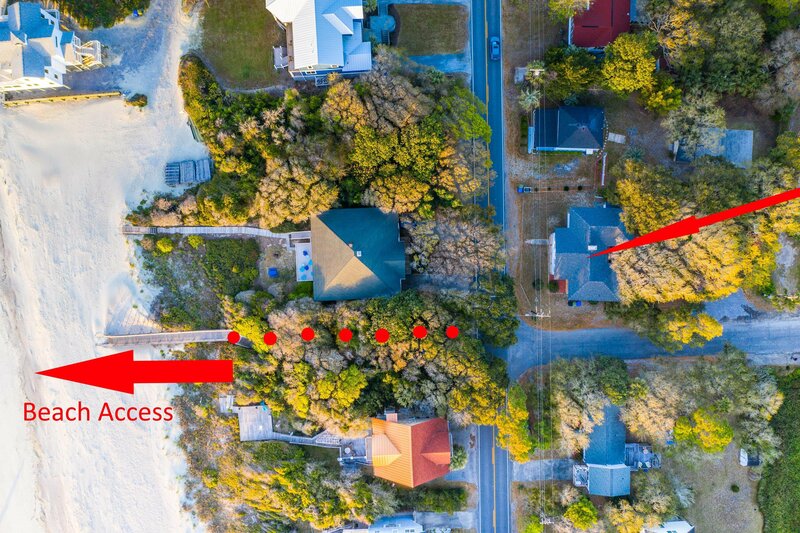 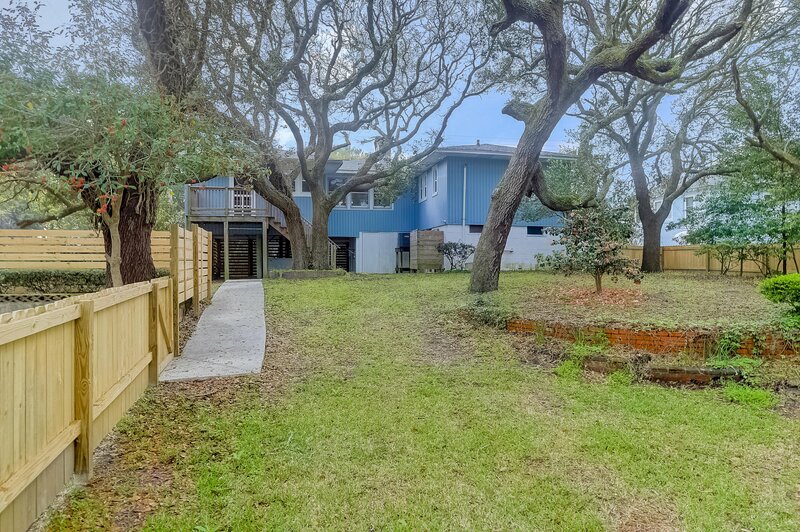 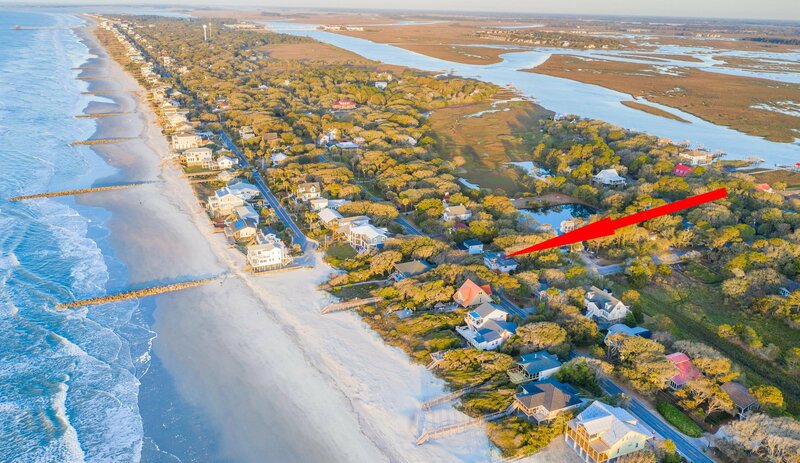 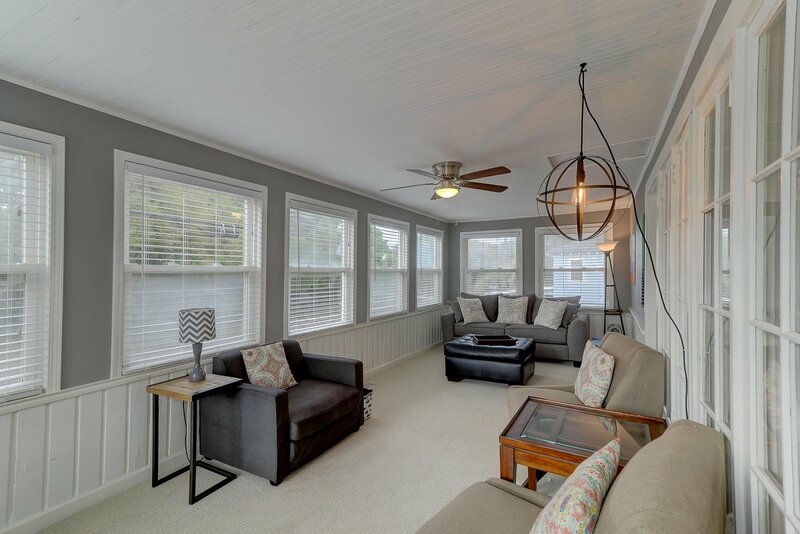 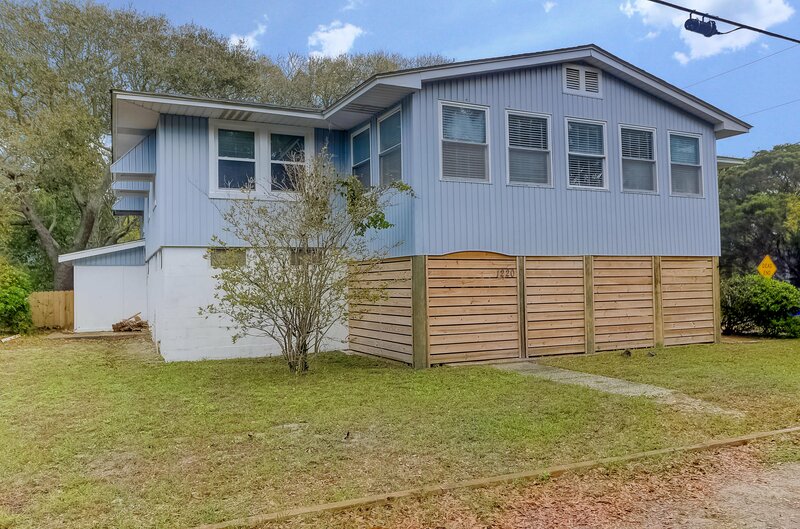 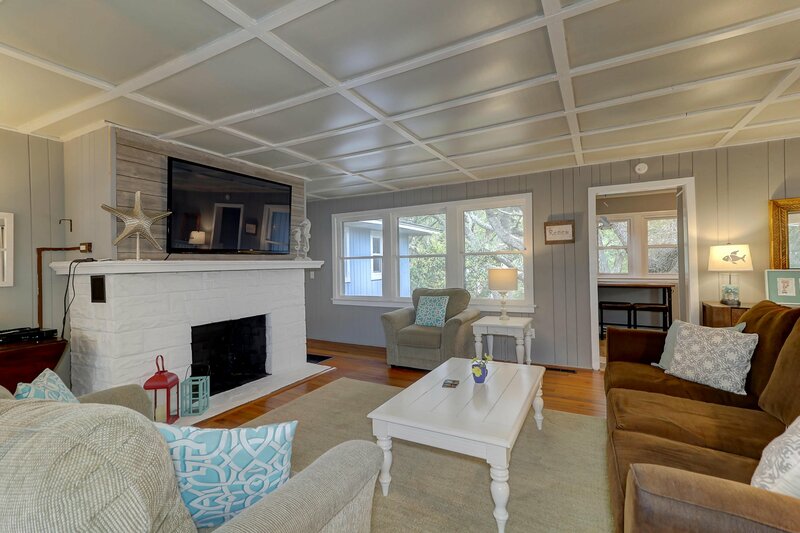 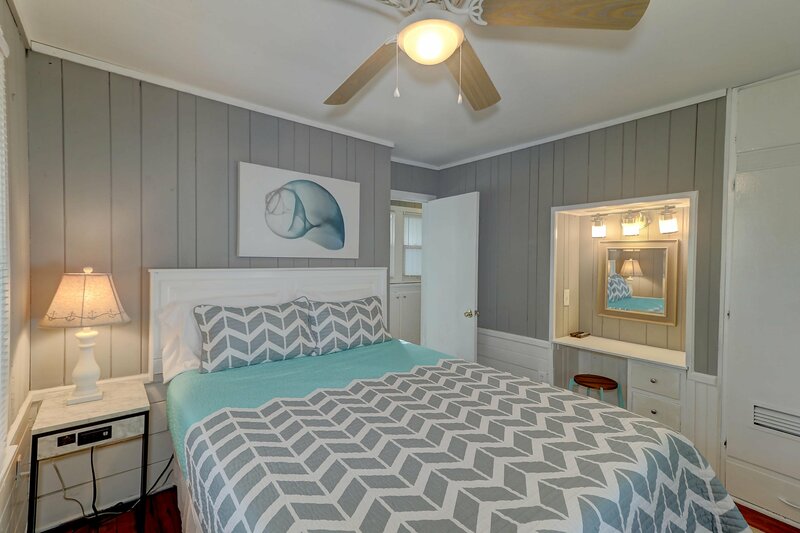 Situated on a full lot across the street from the beach and 13th block beach access, this elevated home is loaded with character. 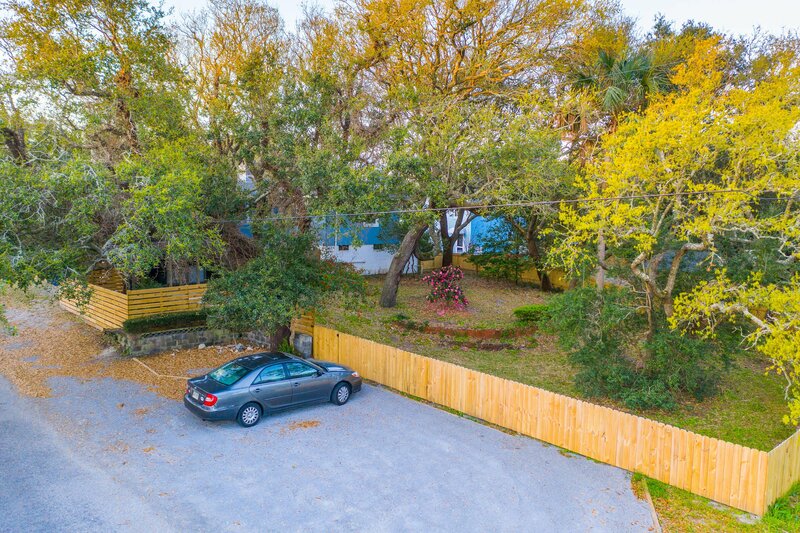 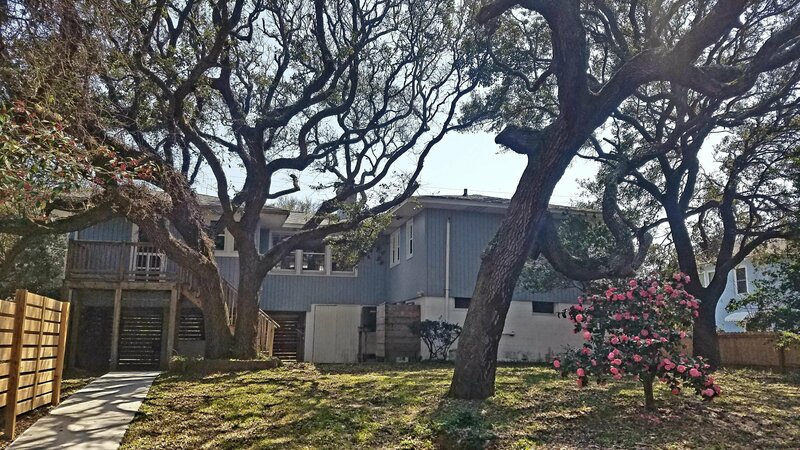 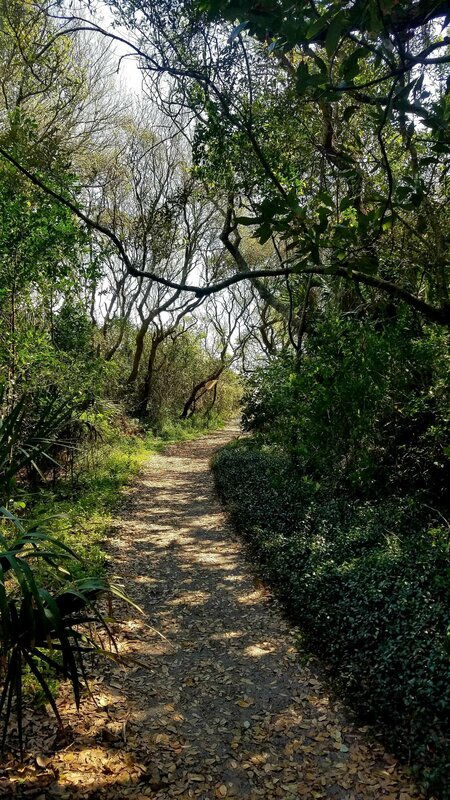 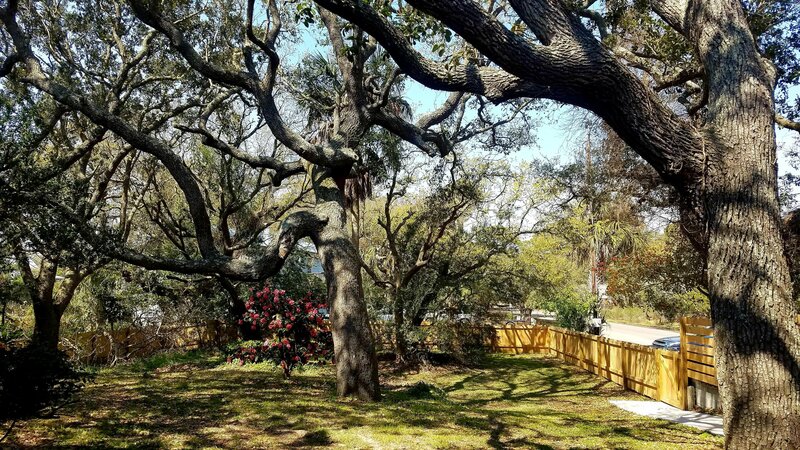 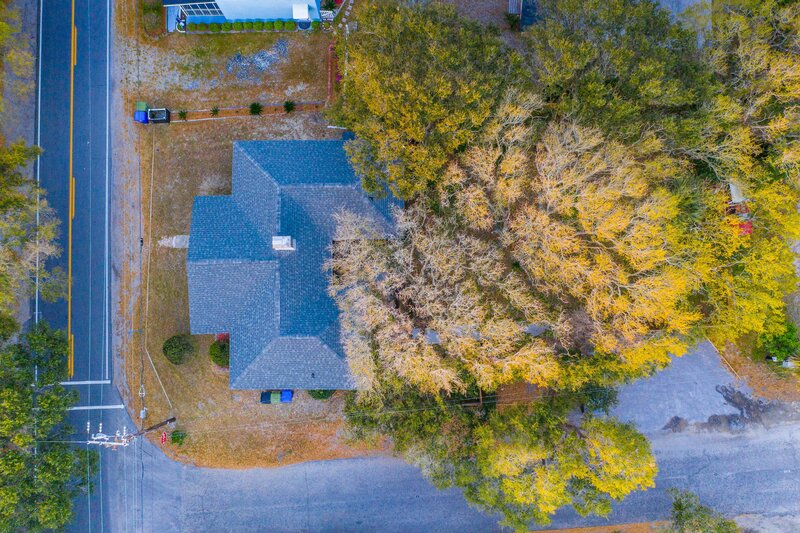 Beautiful private backyard w/ brand new fence features numerous grand live oaks that frame the home, as well as flowering camelias and other shrubs. 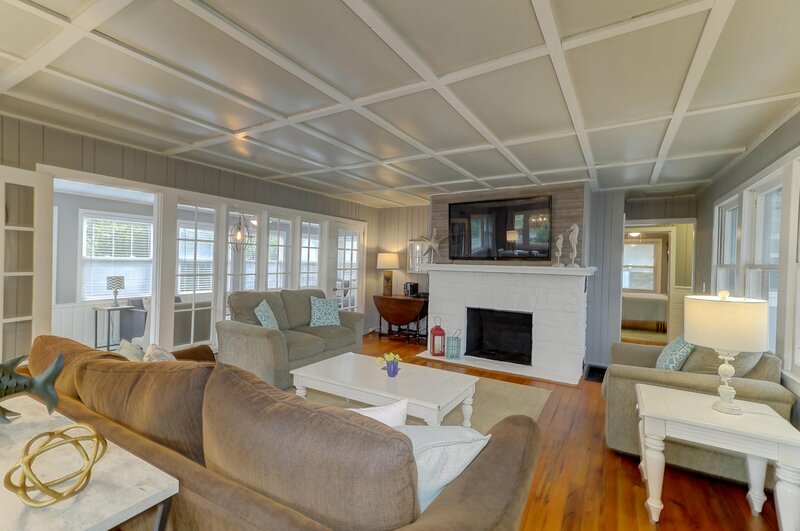 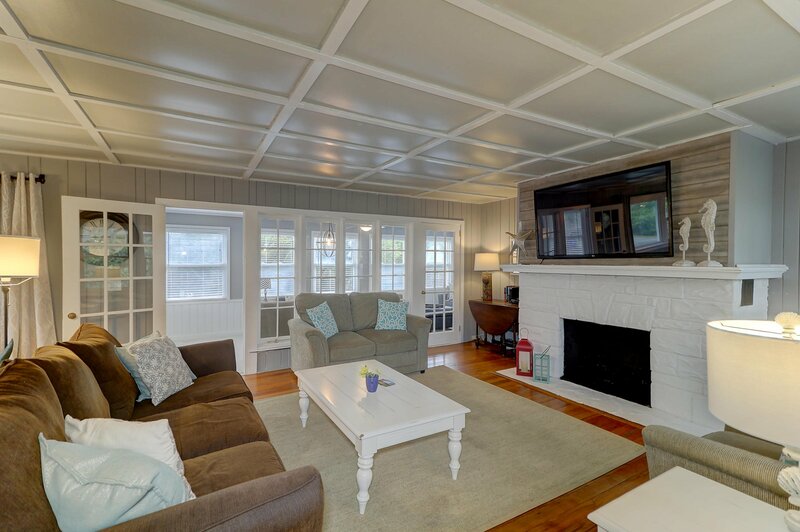 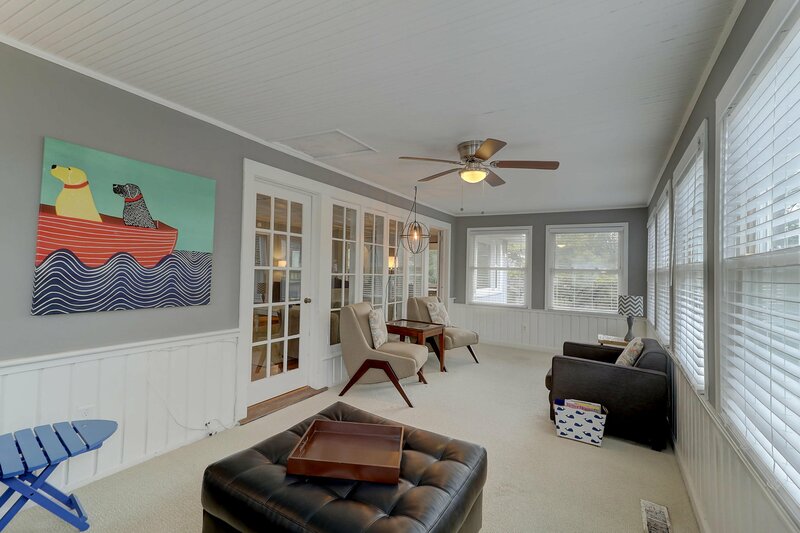 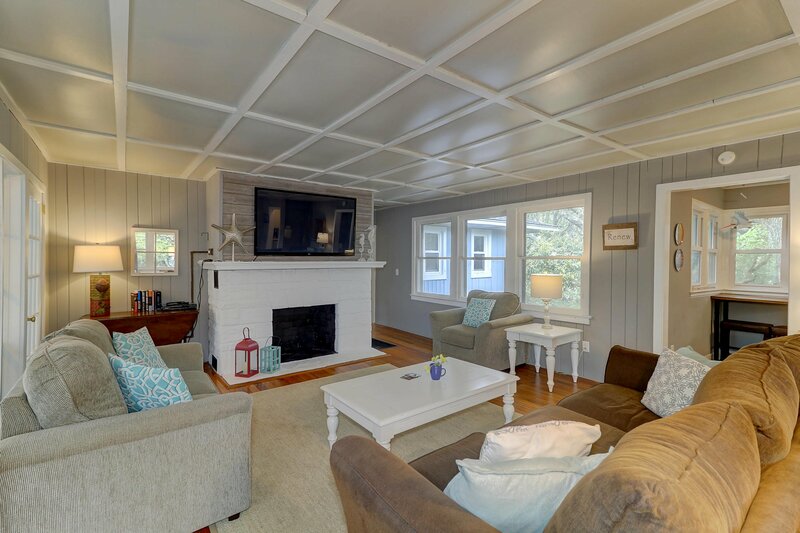 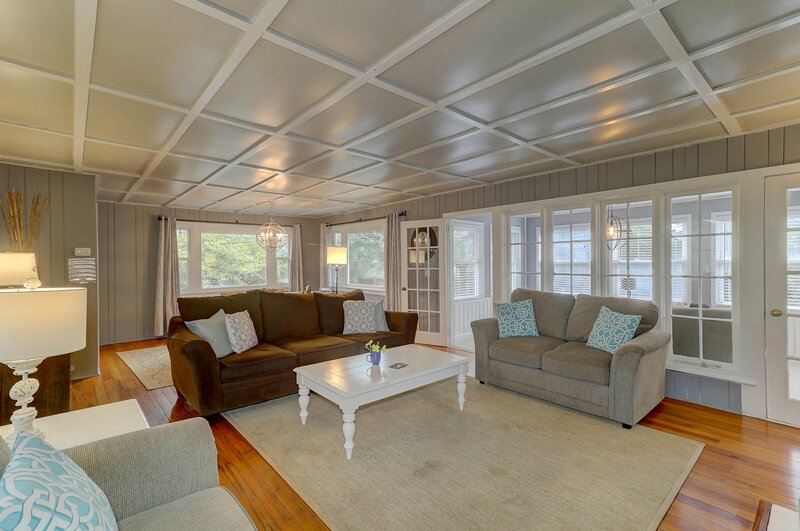 Open living room features a wood-burning fireplace and french doors that lead out to the sunroom, which stretches along the front of the home. 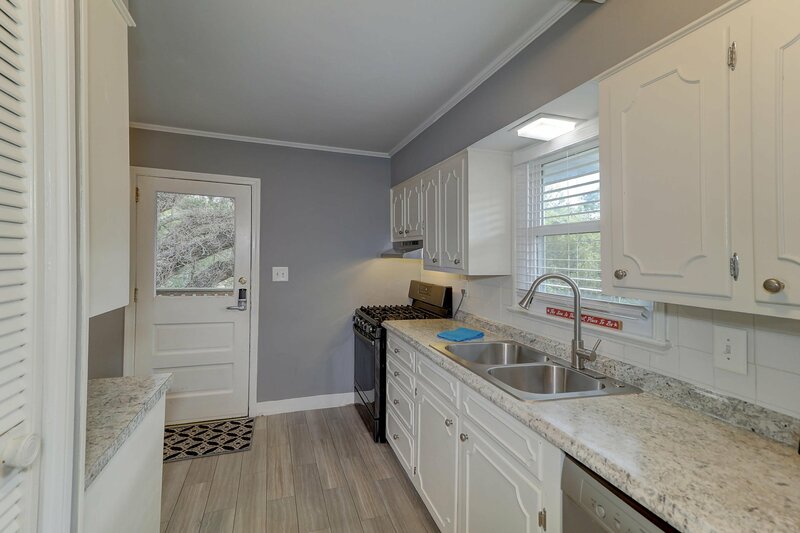 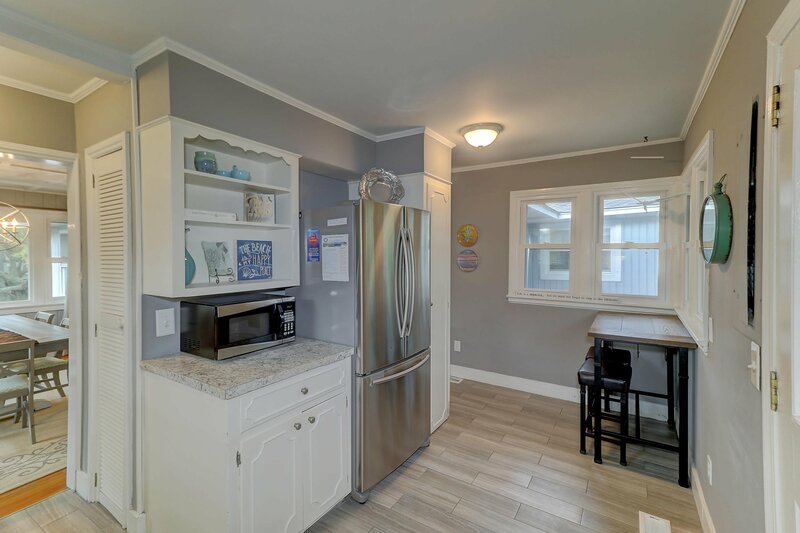 Kitchen comes equipped w/ stainless appliances, new flooring, countertops & plenty of cabinet space. 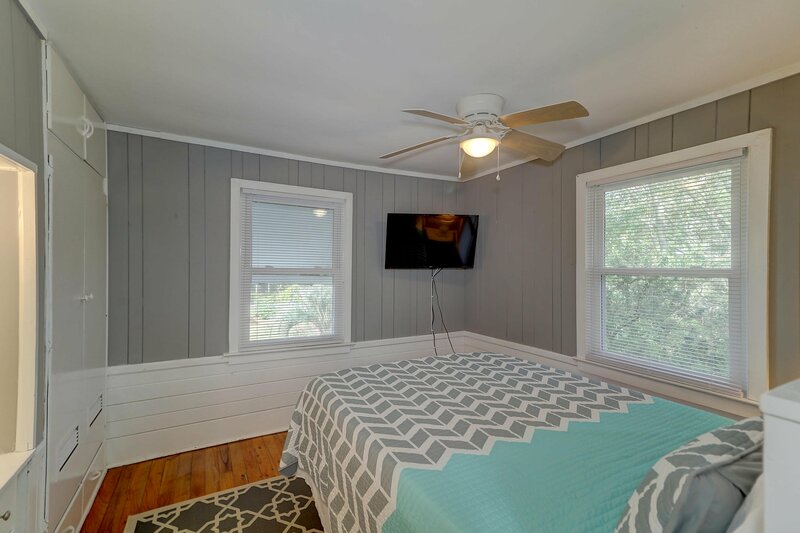 3 bedrooms each feature mounted wall TV's and closet space. 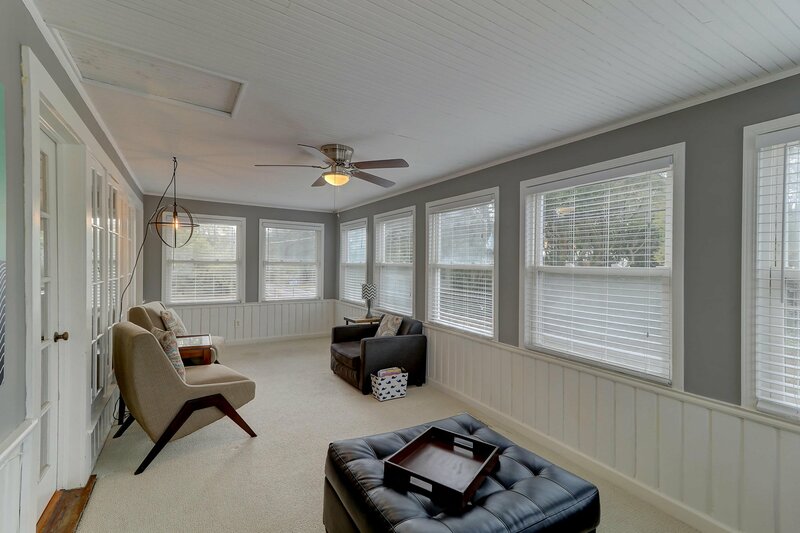 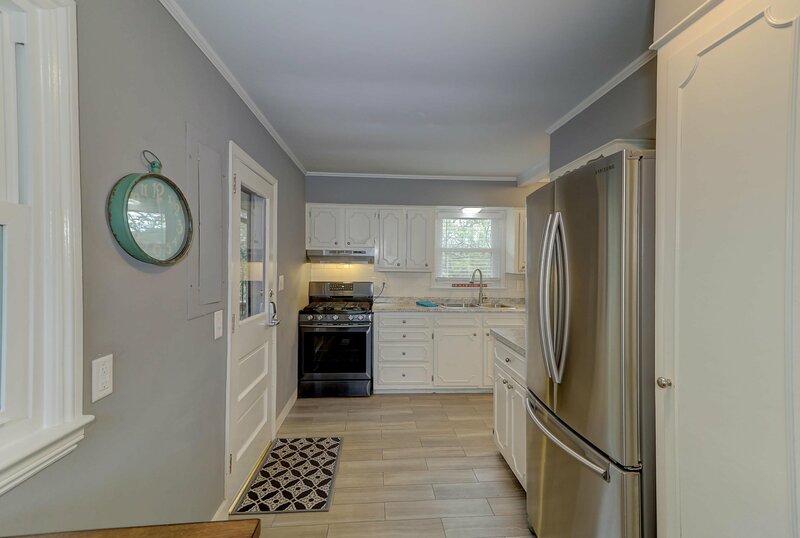 Recent interior updates include: new vinyl replacement windows throughout most of home, new stainless steel appliances & countertops in kitchen, upgraded electrical system, updated light fixtures, repainted entire interior, installed shiplap over fireplace, new tile kitchen floor & new sink & faucet to name a few. 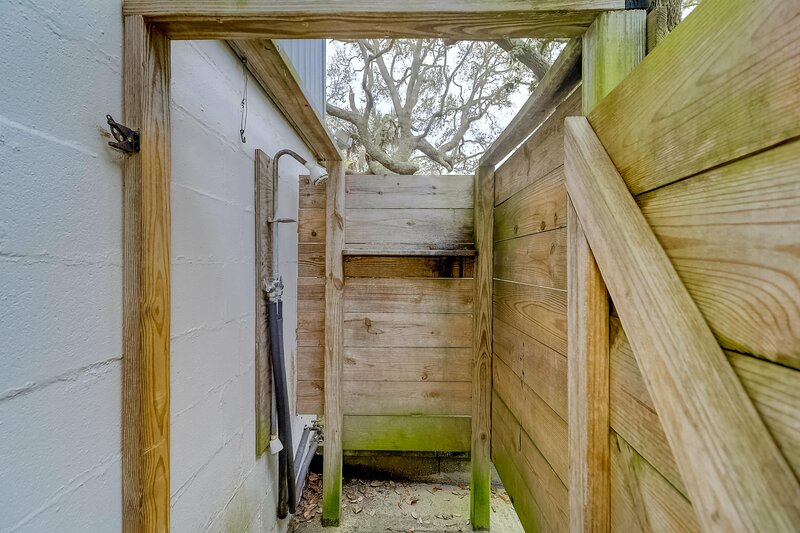 On the exterior: brand new fenced backyard w/ gate to parking, concrete walkway from parking to back stairs, new concrete at patio area in back at outdoor shower with drain, added 1x6 pressure treated slat skirting around raised portion of home with access door, & new gravel parking area on 13th street. 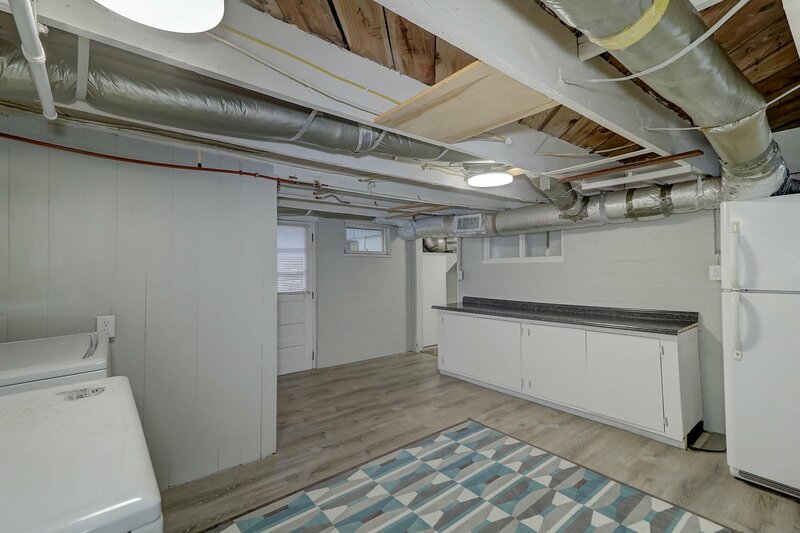 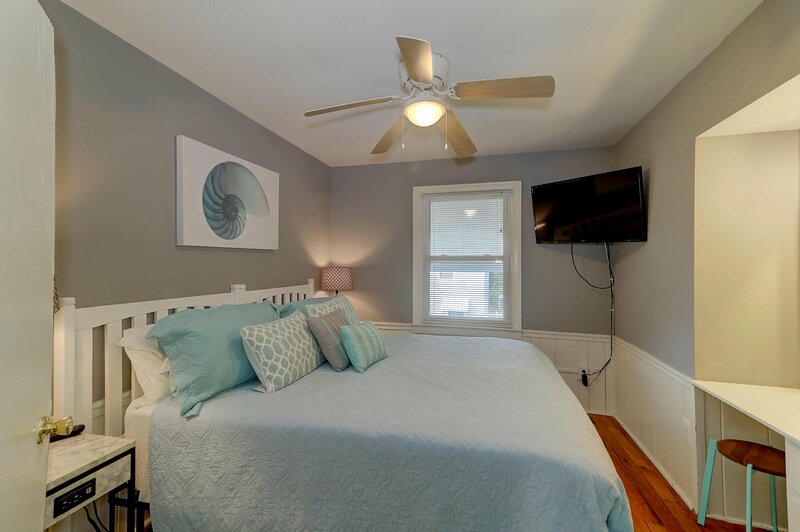 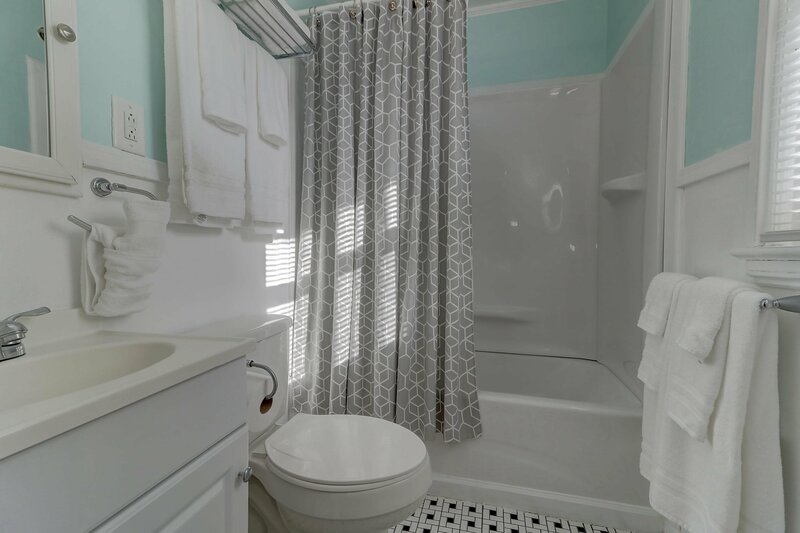 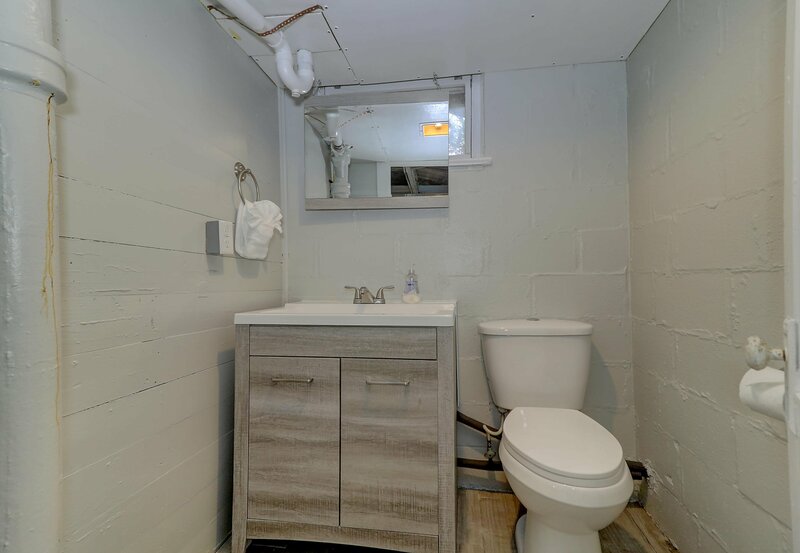 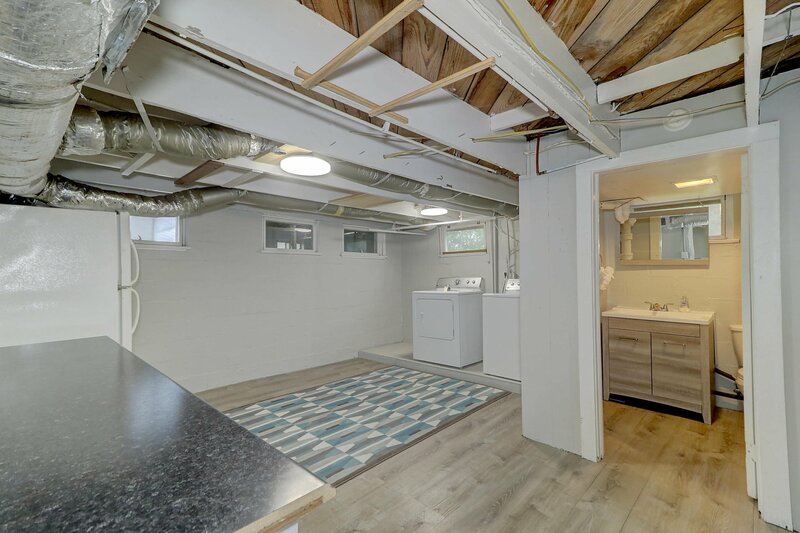 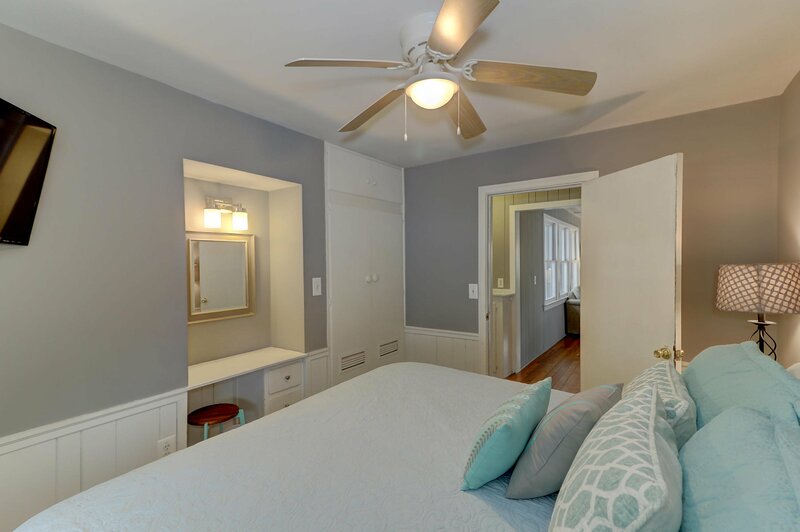 The remodeled half bath and laundry area are on the first/ground floor with lots of storage space! 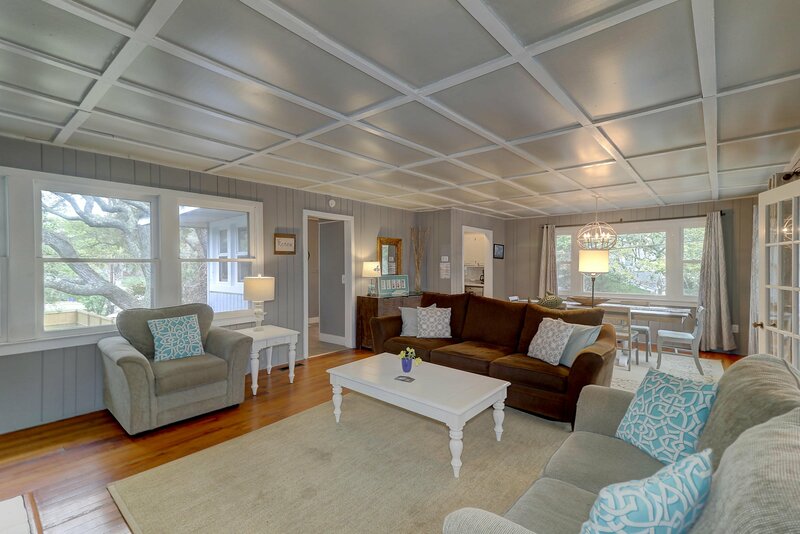 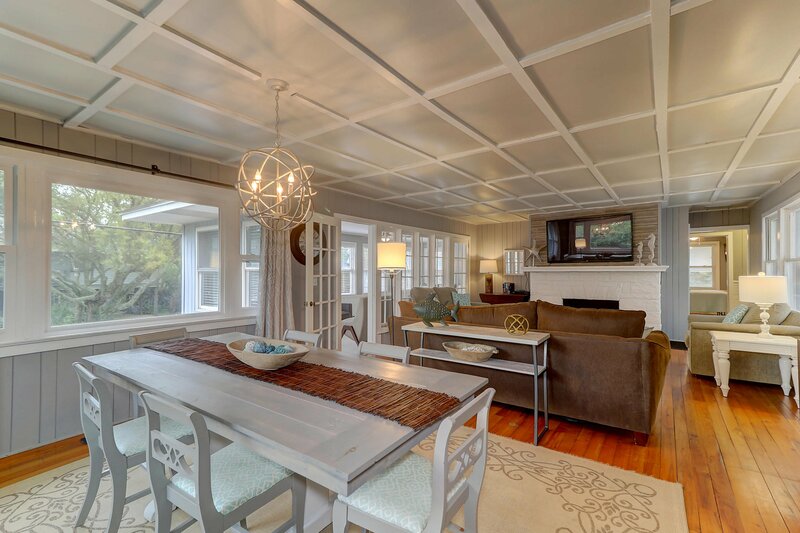 This is finished space that IS heated & cooled, however we are not counting in the square footage. 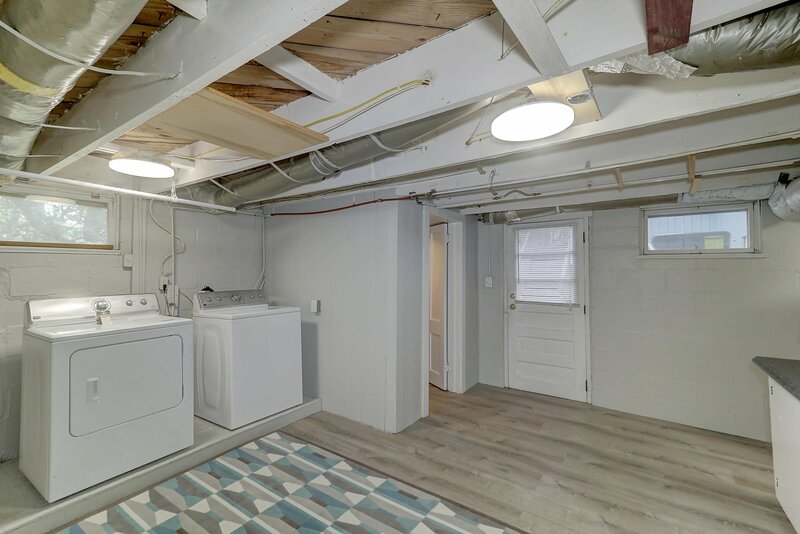 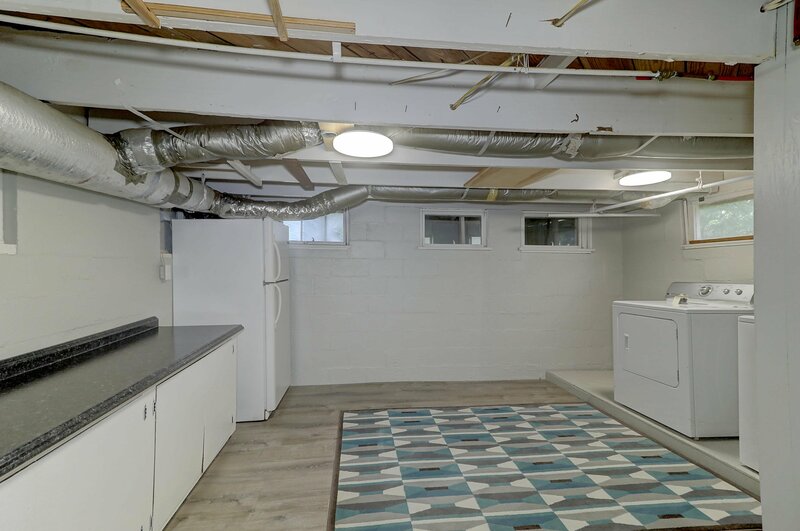 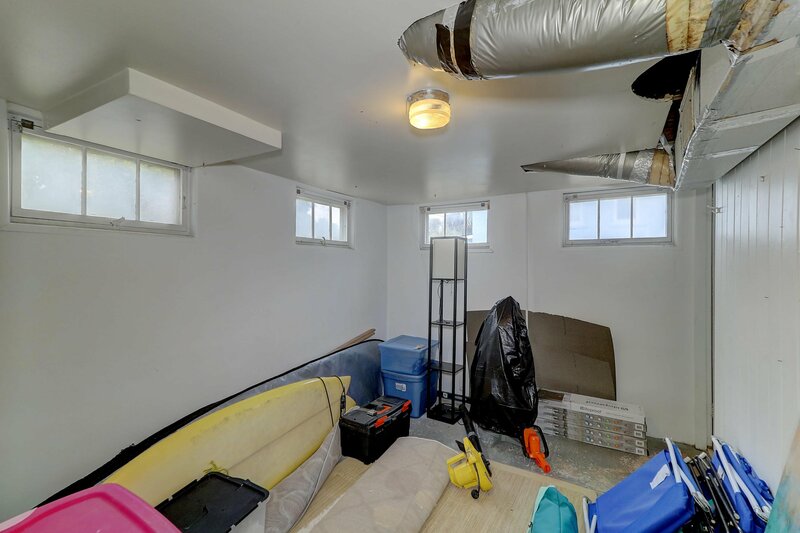 Lots of possibilities underneath, as it's an additional 500+ sq.ft. 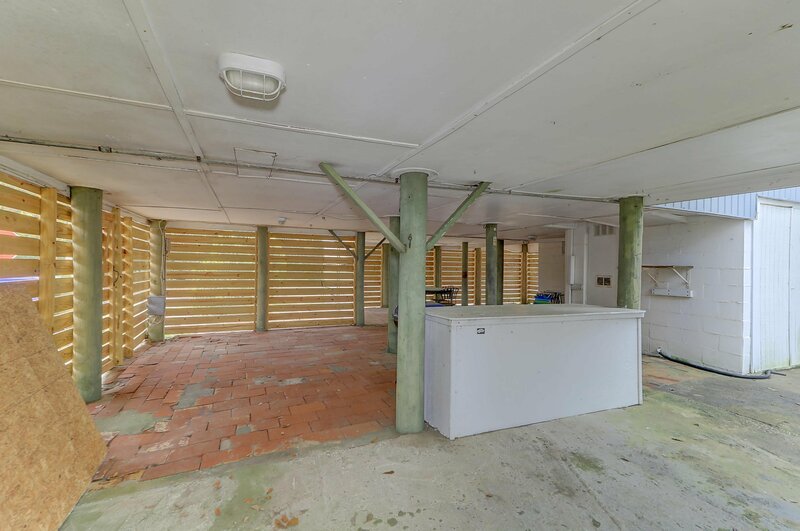 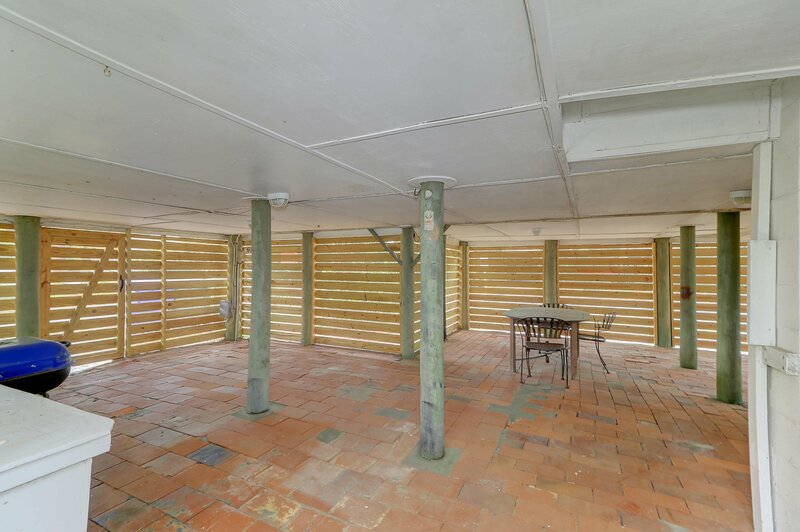 Great covered grilling/eating area underneath the home to enjoy after a day at the beach! 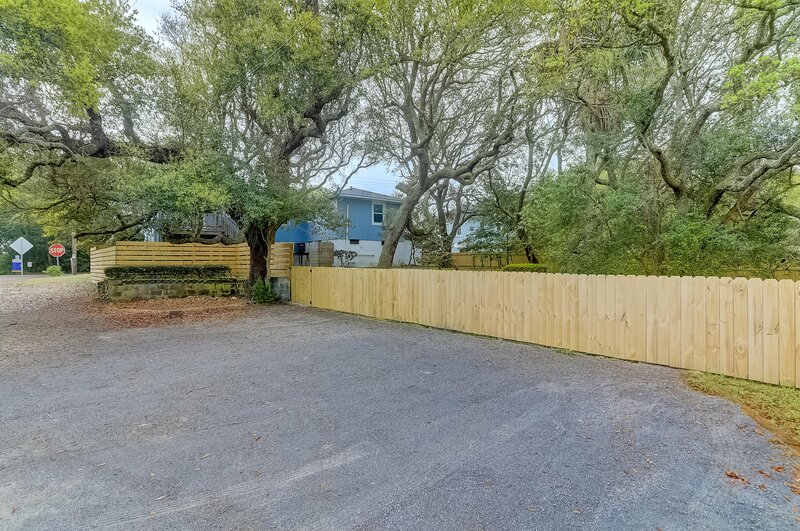 Plenty of parking alongside the fence on the side of the property. 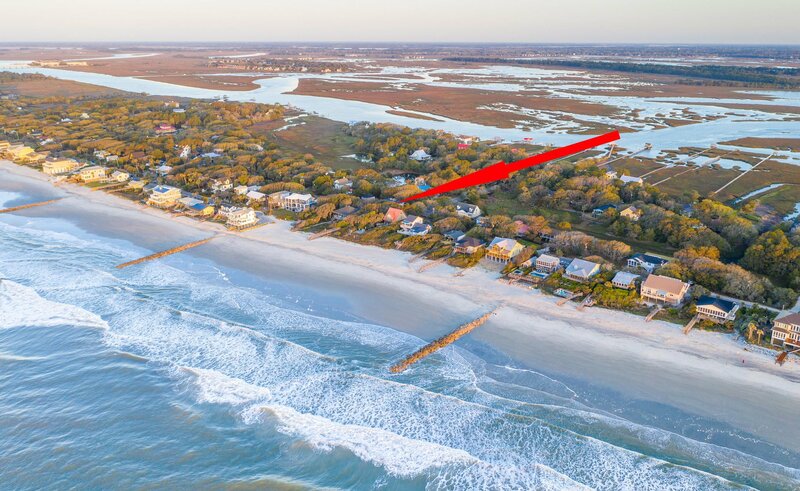 13th block beach access is a neat 'tunnel' pathway through the foliage that opens out onto the boardwalk and over to the sand. 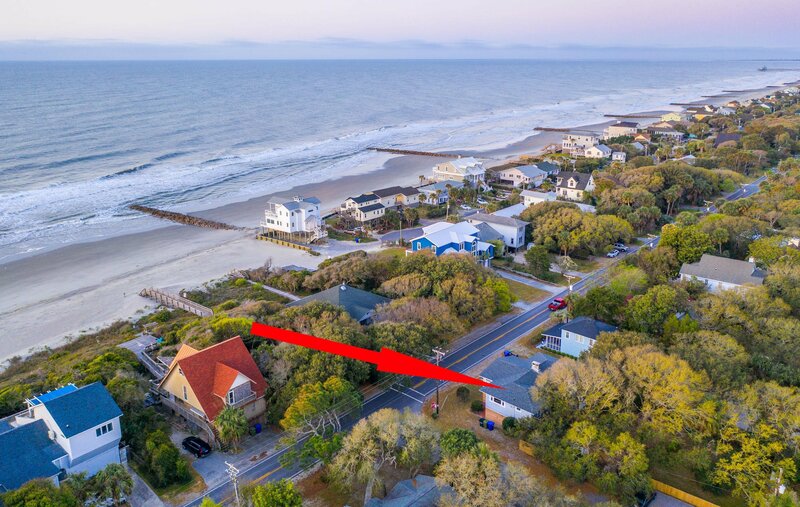 Arguably one of the best locations on the beach!